Joseph Smith Fletcher (1863-1935) was a British journalist and author. He wrote more than 230 books on a wide variety of subjects, both fiction and nonfiction. He was one of the leading writers of detective fiction in the Victorian golden age of the short story. 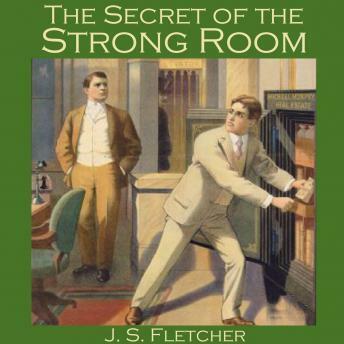 In 'The Secret of the Strong Room', three young men of unimpeachable character are planning to commit the perfect heist on the safe of the Illysium Theatre. But they have planned without the greater cunning of the theatre's owner, Markenstein.